With all the Eastern Front titles now upgraded to Gold status, I thought it time to set expectations around the remaining titles. There are 5 titles each for the Western Front & Mediterranean. Work has commenced on converting these, but new work on titles such as Panzer Battles 3 is taking precedence. In many cases, we have the bulk of the artwork available, but it is still a lengthy project to convert existing titles. Fortunately, artwork from both Panzer Battles Normandy and the new North Africa title is filling a lot of gaps already. 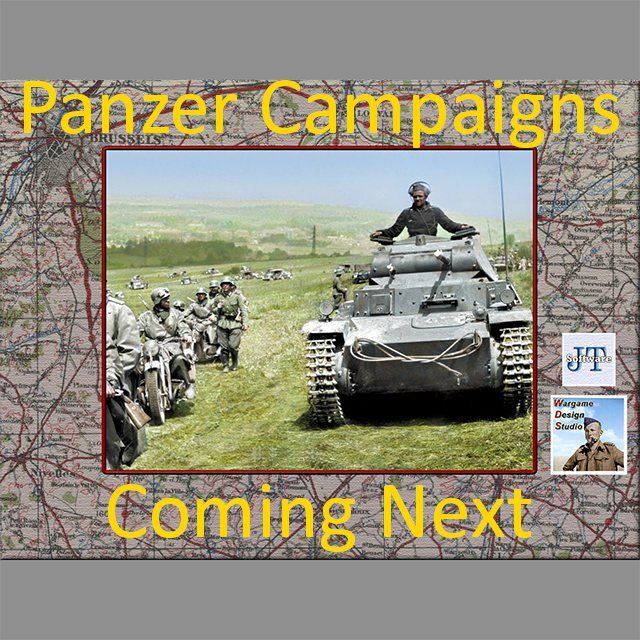 Though not our top priority, we do now have a few dedicated souls that are helping with the upgrades and enhancements for these remaining Panzer Campaigns titles. 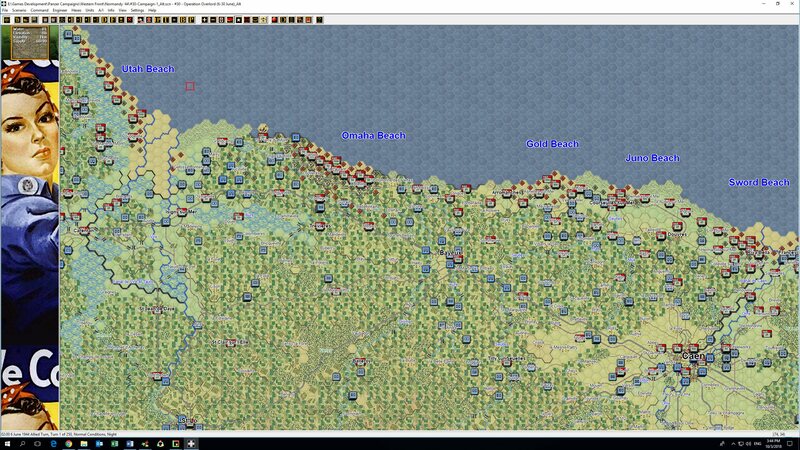 As was probably noted in the Eastern Front Gold releases, in a few cases we’ve included additional scenarios beyond what was originally shipped and the Volcano Mods. We’re looking at the same thing for the remaining titles and one title that will be significantly upgraded is France ‘40. 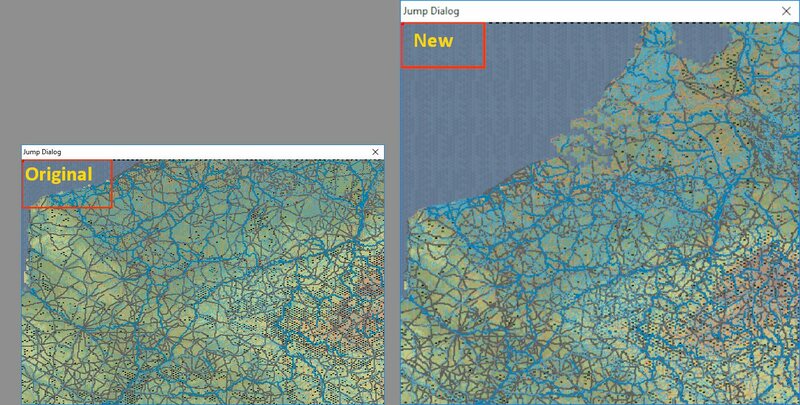 Have a look at these jump maps and you’ll have a pretty good idea of what is being added for the Gold release. 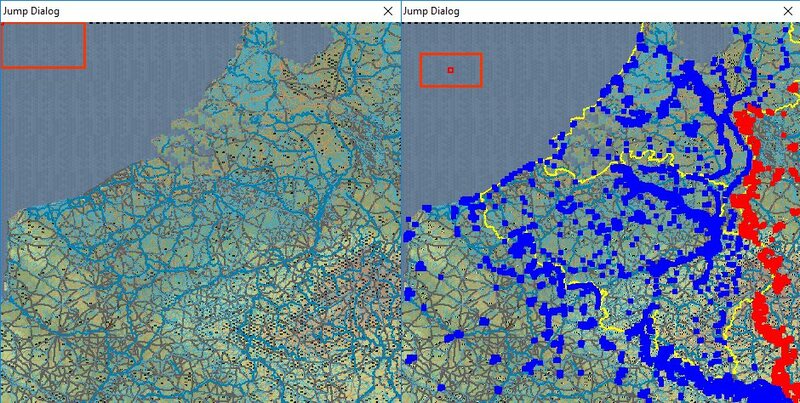 With the inclusion of Holland, a brand-new campaign and many smaller scenarios will be added, ensuring that a more complete 1940 campaign on the continent can be simulated. A lot of order of battle and scenario work is already completed and we are much of the way through the new graphics. The Dutch will obviously play a bigger part as will the Fallschirmjaeger attacks the Germans employed in their Holland invasion plans. The ‘fragile nation’ rule from Prussia ’14 in the First World War Campaign series has been added and will impact the French, Belgians and Dutch. This will be a first for the Panzer Campaigns series and will probably be used for the Italians in the Desert titles. 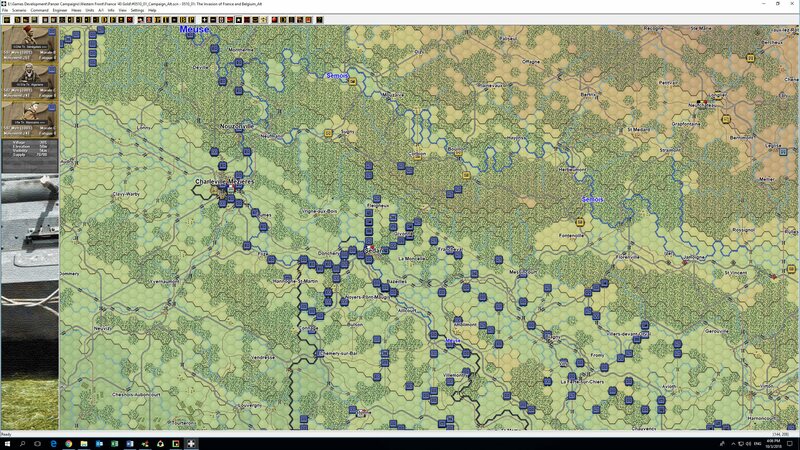 A new team member Mike Prucha has driven the bulk of the France ’40 new scenario & OOB work, while David Michas created the new map – we owe them both a big thank you for what they have bought to this title. We expect to have the remaining Panzer Campaigns titles upgraded during 2018, but the pace will be slower than the timing that was seen for the Eastern Front. It’s all about balancing building new titles vs upgrading previously released games. 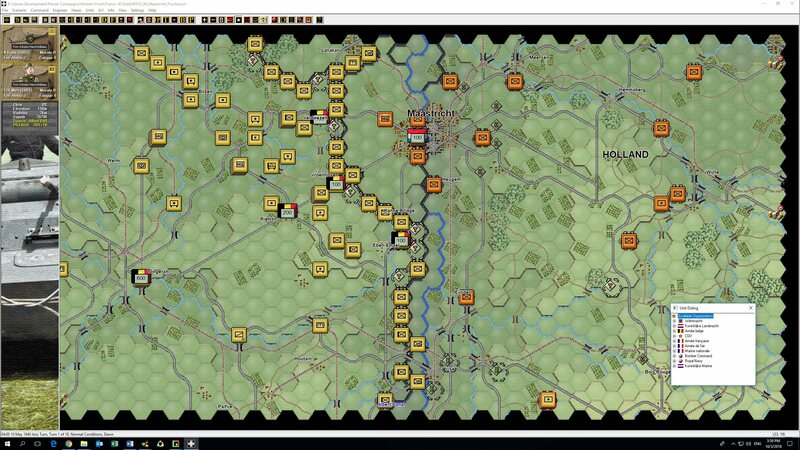 ← Panzer Campaigns Korsun ’44 Gold Released! I’m very fond in WW2 Games. I like a lot also this kind of games. When i was youger I played a lot with these series. 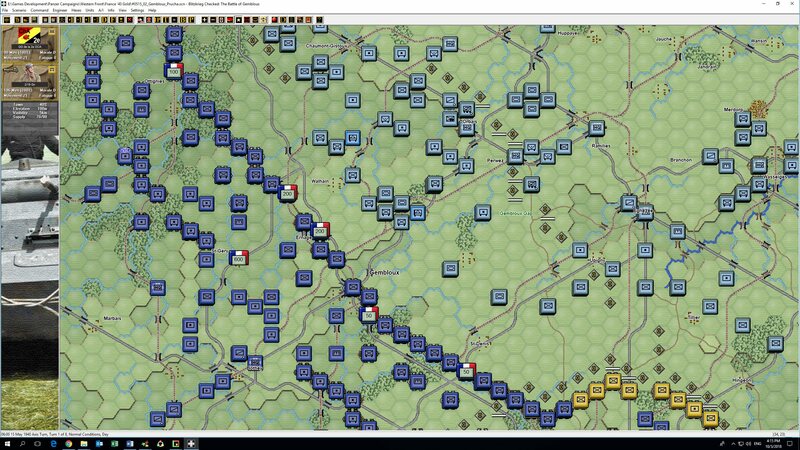 Manteining the same zoom level of the terrain and Units, for the next future are you thinking/able to change the old style landscape and in a one similar to Wargame Red Dragon/Normandy44 of Eugen System ? This is great news. Looking forward to seeing what you have done with France ’40. Keep ’em coming! Smolensk Gold is a blast. Can’t wait to play Panzer Battles 3 as well. Nice work. I appreciate your taking your time to get Panzer Battles 3 done right. In my mind, this is better than releasing it too early, before you are satisfied with it. I suspect the result will be greater satisfaction to grognards when we play it. I am glad that Panzer Battles 3 is coming up. 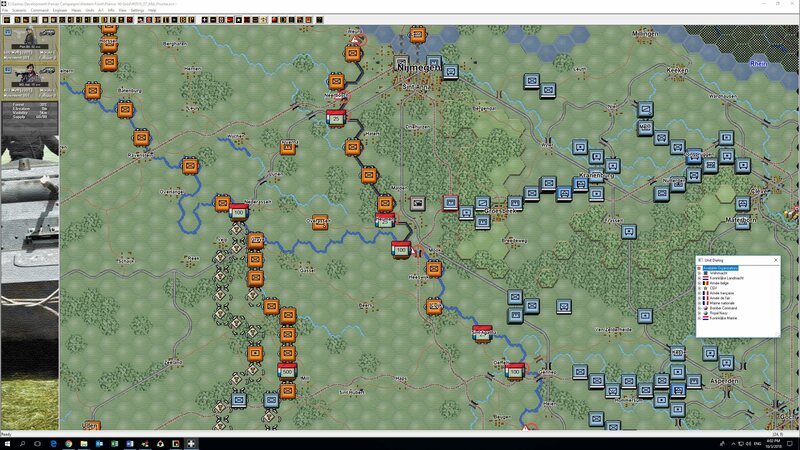 I have been playing the scenarios on the PB demo and like the changes from Normandy and Kursk SF. It was cool to hear the 20mm cannon on the Panzer II sound like a 20mm Cannon. The scenarios play out very well. It will be great to get the gold updates for the rest of Panzer Campaigns they definitely need some freshening up. Nice, glad see PzB3 is again on the top list, cant wait it and know what is going to cover (italians in 1940???). France40 gold looks very attractive specially with the add of new scens… the EP14 rule could work but lets see but in general the new scens are going to be a good add because looks good for medium size scens… you talk about new campaign this means we can have full Low Countries and Belgium battles separate as individual scens??? A little thing, now you are with it is possible you release a mod with grey counters for Wehrmacht and black for SS??? something official, is possible mod it but i never manage to have a good black colour for SS AND i find a problem in PzB and in new east front PzC gold versions… if you edit the counter colour unlike in PzB1 and PzB2 the portrait NATO symbol mantein the original colour… i dont know why in first 2 PzB edit counter colour change the portrait NATO counter BUT since PzB demo and new Gold versions not. Well, waiting more info about new incoming titles, good luck. Can’t wait for the rest of the PzC gold titles. They are exceptional. But the wait for next PzB titles is too long! I know, get it right. But the last one was, geez, my memory fails me. It is time! Don’t burn it by letting it cook too long! By the way, I had a strange experience playing the France PzB Demo scenarios. Those French tanks were giving me a head-ache, my German tanks just did not do well in confrontations. So I started to do melee attacks against French armor with German infantry, charging frontally across wide open areas, and they just butchered the French tanks. No contest. It felt a bit gamey. For a single casualty here and there, I left tank carcasses where ever my infantry went. I don’t think it should be that easy. Just an observation. Not saying I didn’t enjoy it, I loved it. Turned a Minor Victory into a Major Victory due to points awarded for a lot of destroyed vehicles. But I felt I was taking advantage of a stumbled on “discovery” and using some not so realistic tactics. I play a lot of WW2 titles and have plenty of time on my hands (retired), enjoy them all, but PzC and PzB are among my favorites. I’m replaying all previous titles, but please keep the new PzB titles coming. What ever they are, I’ll purchase. Thank you for the support. The last PzB was released in Dec 2015 from memory? That’s why we’re trying to buckle down and get the new title finished. We’re probably 6 months behind where we would like to be. Anyway, it’s a priority now. I’ll reply to myself on comments on PzB Demo and infantry vs tanks. I’m an idiot, that’s what. I tried this tactic on another scenario and the AI French tanks disrupted, isolated, and crushed my charging infantry units. Oh my! Probably lucky last time, plus I had a lot more infantry units. But things went as expected, do something stupid and pay for it. So ignore my previous comments on infantry vs tanks, it is fine. I was lucky on previous. I am loving the addition of the lower countries for France ’40 and the new scenarios but I have to say personally I hate the unit images and the backgrounds that are pictured here in the post. This is probably one of my top three PZC titles and I have them all, so looking at that for 400 turns or so would be disappointing. I hope you consider changing them. There will be an optional background that is essentially clear. As far as the unit images, I’m not certain what you don’t like about them, but since we launched the Panzer Battles series we have used period images that we have colourised. There is no plan to change these, but you are more than welcome to use a mod such as Volcano Man’s images if so desired. That won’t cover all images as there are brand new OOB’s with new units. Also looking forward to PzB3… North Africa? Enter Rommel? I can’t wait for the release of the west front/med front gold editions. Your overhaul of these titles has made the difference in purchasing them vs the standard titles and modding them, a must! The graphics upgrade is excellent and much needed. Please add additional zoom in level for the 3D map level, us old duffers need a little more magnification. I commend the work of all members of the WDS team for breathing new like into the Panzer campaigns series! With Gold, there is a consistency in the artwork that visually ties everything together that my eyes yearn for with the various mods I use in HPS versions. Fancier sounds and new maps/scenarios are icing on the cake. I’ve got Bulge, Normandy, Salerno, and Sicily eagerly anticipating their Gold updates and when the time comes I’ll be sure to get France ‘40 Gold from the JTS store. Hey David: It has been 3 months since your last update on the PzC Western and Mediterranean Fronts Gold treatments. What news and updates can you share with players? I’m planning a half year update for all the titles we’re working on. Expect a couple of blog posts covering that off over the next couple of weeks.